Visitation will be held on Tuesday April 9, 2019 at Fayette Memorial Funeral Home in La Grange from noon to 7:00PM with the family present from 5:00-7:00PM. A prayer service will be held at 7:00 PM. Funeral Services will be held on Wednesday, April 10, 2019 at 10:00AM at St. John Lutheran Church in Rutersville. Interment will follow at Florida Chapel Cemetery in Round Top. 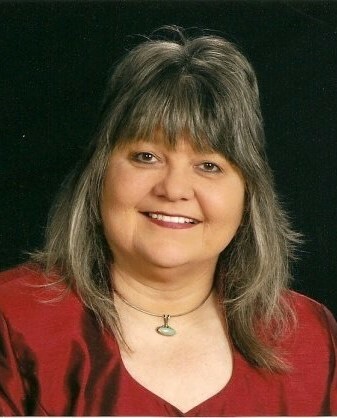 Mary Della Lemmons Noak was born on January 1st, 1953 in Amarillo, Potter County, Texas. Her parents were Bobby Shelton Lemmons and Betty Jo Hollar. After a very courageous battle with cancer Mary passed away on April 4, 2019. Mary married the love of her life Airman 1st Class David R Noak on January 9th, 1970 in Abilene, Texas. Mary followed her husband throughout his US Air Force career until they retired back to Fayette County in 1994. She totally enjoyed the traveling adventures that she and her family came to know, especially the overseas time that they spent in Germany as a result of her husband’s career. A hobby of Mary’s was genealogy research. Upon researching her family, she found that she had ancestors that fought for America in the American Revolution. Upon proving this fact, she became a member of the local chapter of the Daughters of the American Revolution, the Smith-McMillan Chapter of La Grange. Soon thereafter, she served as the Chapter Registrar. Additionally, Mary discovered that through her long time Texas ancestry that she was also eligible for membership in The Daughters of the Republic of Texas. She became a member of the Monument Hill Chapter of La Grange. Mary is also a member of the Veterans of Foreign Wars Ladies Auxiliary Post #5254 of La Grange and a Hermann Sons Life member of Rutersville Lodge. But what Mary still loved most was her family. There is nothing she loved more than having her children and grandchildren around her at family gatherings. Surviving Mary are her husband, David Noak of La Grange, her daughter Celia Kovar and her husband Matthew of La Grange, her son David Noak II and his wife Lindsay of La Grange. Sisters, Vickie Dean of Abilene, Texas, Jamie Medley of Dallas. Brothers, Allen Lemmons and his wife Carolyn Sue of Ft Worth, and Donald Lemmons and his wife Gayle of Abilene, Texas. Brother-in-Law Nelson Noak and his special friend Annegret Goehring of Jersey Village, Texas and Sister-in-Law Sherry Noak of La Grange. She is also survived by Grandchildren David Noak III, Kohl Noak, Macey Kovar, Caeley Kovar, Kaden Kovar, Schylar Noak, Khloe Noak and two step-Grandchildren Cameron Stech and Kaylee Stech and one Great-Grandchild Lawson Noak. Additionally brothers and sisters in Wisconsin: Rosemary Baker, Bill Lemmons, Ernest Lemmons, Mark Lemmons, David Lemmons and Marnie Clausen. Several Aunts, and numerous nephews, nieces and cousins also survive her. Mary was preceded in death by her Parents Bobby & Betty Lemmons, Grandparents Victor and Della Hollar and Ernest & Mary Lemmons, Brother Robert Lemmons, Parents-in-Law Nelson & Irene Noak. Sister-in-Laws Ira Nell McCoy and Shirley Noak and Brother-in-Law Wayne Noak. Memorials are suggested to St John Lutheran Church of Rutersville or to the Shared Lutheran Ministry of Fayette County.